When I started out as a motoring journalist, I thought pretty much every car I wrote about was amazing. Then again I was 13, so I guess I didn’t have much perspective. But even when I subsequently became motoring correspondent for a regional newspaper and spent my life road testing different cars, my judgment lacked objectivity. I drove a very tired Ford Mondeo, so everything felt special in comparison. Mind you, I recall not being all that impressed by the Perodua Nippa as I hurtled along the M5 in a press car. Apparently, I was one of the only journalists in the country who’d booked it for a test. The others presumably sussed that it would be awful, and wisely decided to stick to their own knackered steeds for the week rather than subject themselves to the bone-rattling ride of what was at the time the cheapest car on the road. The only other cars I used to dread testing were Vauxhalls. There was something about their dreary countenance that defeated me. Whether it was the awful Agila, the anodyne Astra or the barely competent Corsa, I just didn’t get on with Luton’s finest. So when I received a phone call last summer asking if I’d like to drive a new Vauxhall Insignia Grand Sport around the north coast of Scotland, I saw it as a mixed blessing. I’d just come back from a glorious week in the Highlands and was aching to return. But a Vauxhall? For 500 miles of some of the best driving roads in the UK? Surely there must be an alternative. As it happens, I’m delighted there wasn’t. 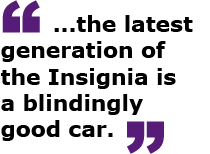 Because the latest generation of the Insignia is a blindingly good car. As comfortable as a Volvo V90, as quick as an Audi A4 and as refined as a Volkswagen Passat, with the crisp handling of a Ford Mondeo thrown in for good measure. I can’t understand why more people aren’t rushing to their local Vauxhall dealership to order one. Oh yes, it’s because hacks like me have spent the last two and a half decades slagging Vauxhall off. Sorry about that. Let me redress the balance. The Insignia feels like a prestige car, for every-day money. It is refined, well equipped, a genuine joy to drive. I can say that with confidence after my week with it on the North Coast 500. 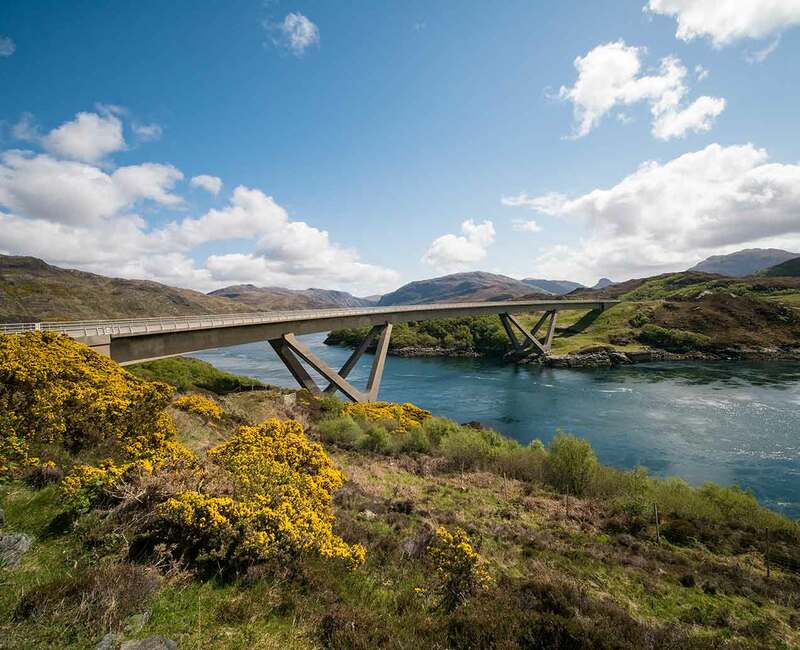 Whether we were battling motorhomes on remote single-track roads, recovering from the shock of staying in a flea-ridden B&B in Thurso or blasting along the stunning coastal roads that connect Scotland’s shoreline with the Highlands, we had an absolute ball. I suspect the Insignia Grand Sport will forever remain in the shadow of the cars I mentioned above. It’ll be an also-ran, simply because of the griffin on its grille. And that’s a massive pity, because I can’t think of another vehicle in which I’d have preferred to undertake my Scottish sojourn… apart from a Bentley Continental GT, possibly. Or maybe a Range Rover Sport. Or an Aston Martin DB7. But in the real world, where things like fuel economy, Benefit in Kind company car tax, road fund licence costs, boot space, sat nav, Bluetooth and interior comfort all feature prominently in a car buyer’s thoughts, the Insignia is a winner. 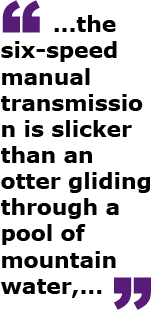 The handling is tight without being twitchy, the gear-change from the six-speed manual transmission is slicker than an otter gliding through a pool of mountain water, and the instrumentation is legible, logical and easy to use. With cracking deals available on this range, including five years 0% finance, there is every reason to favour the Insignia Grand Sport over its rivals. I think it’s an unsung hero and would seriously consider putting one on my drive. And believe me, after 25 years in this game, I no longer say that about every car I drive. A guy’s got to grow up some time, right?